Pelmeni are dumplings consisting of a filling wrapped in thin, homemade dough thats very juicy and yummy. 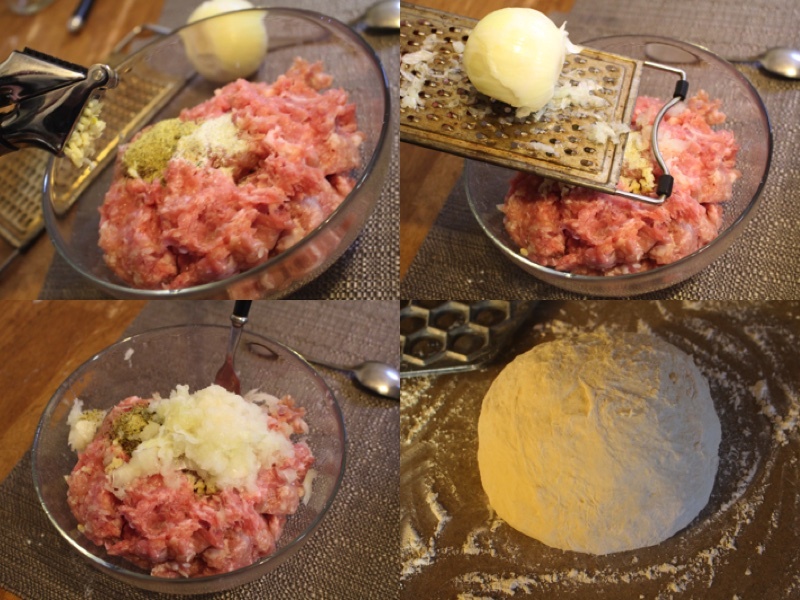 This recipe is one of my favorites and comes from Western Europe. 2.) Add an egg and warm water to the bowl, mix well. Form very stiff dough. 3.) 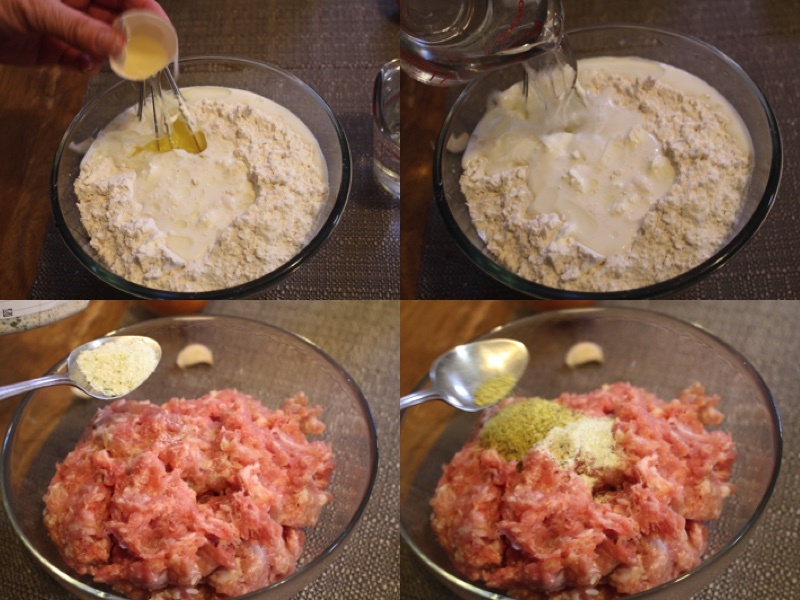 In a bowl add grounded pork, garlic salt and lemon pepper. 4.) Add crushed garlic, shredded onion and mix well. Place dough on a lightly flowered surface, kneed until dough is smooth and elastic (this will take about 10min). 5.) Cover the dough with plastic wrap and let it rise for 30min. 6.) After waiting shape the dough into a loaf and divide it into 10 equal pieces. Roll one piece on a lightly flowered surface (Roll as thin as possible). 7.) 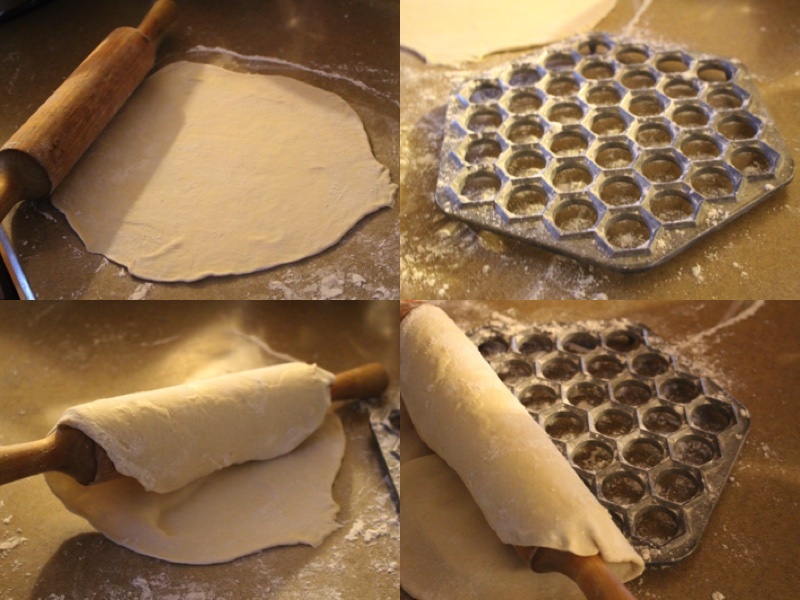 Place one piece of dough on a lightly flour dusted pelmini form. 8.) With a rolling pin roll the tim until there are imprints. 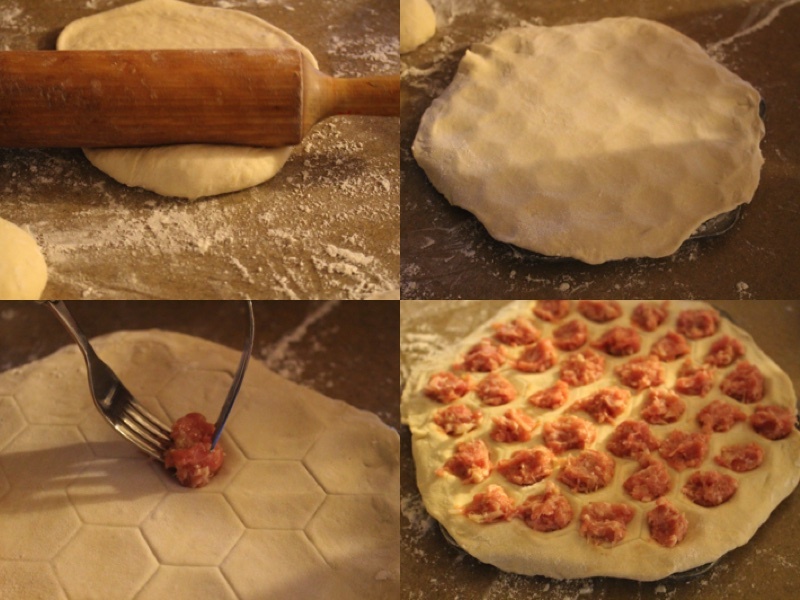 Place one teaspoon of meat into the center of each hexagon. 9.) Cover the meat pieces with a second thin sheet of dough. Flatten the top with a rolling pin. 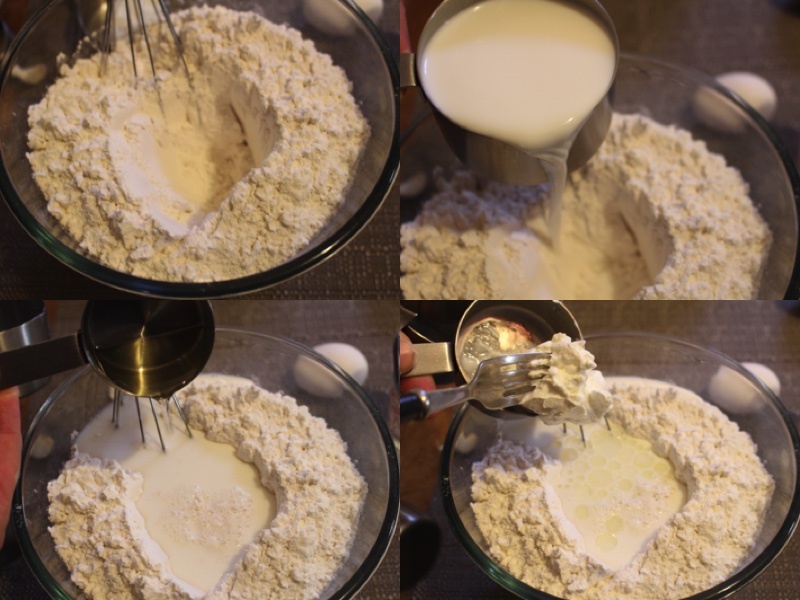 Put the excess dough in a pile so it can be reused. 10.) With a hard object push out each circle. 11.) 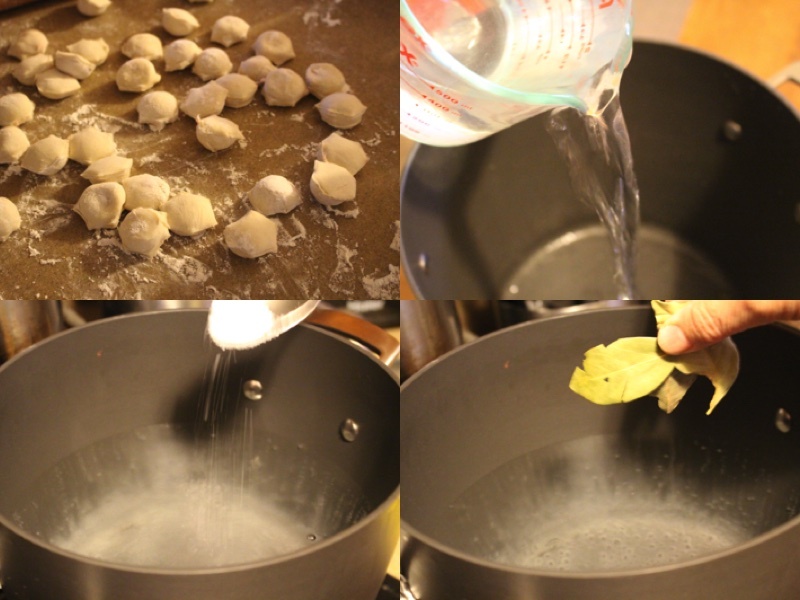 Place pelmini on a floured surface, add water, pepper balls, salt and leafs into a pot. Heat on stove until boiling. 13.) Take out the pelmeini and drain the left over water. Eat with melted butter cream or sour cream Enjoy! Add an egg and warm water to the bowl, mix well. Form very stiff dough. 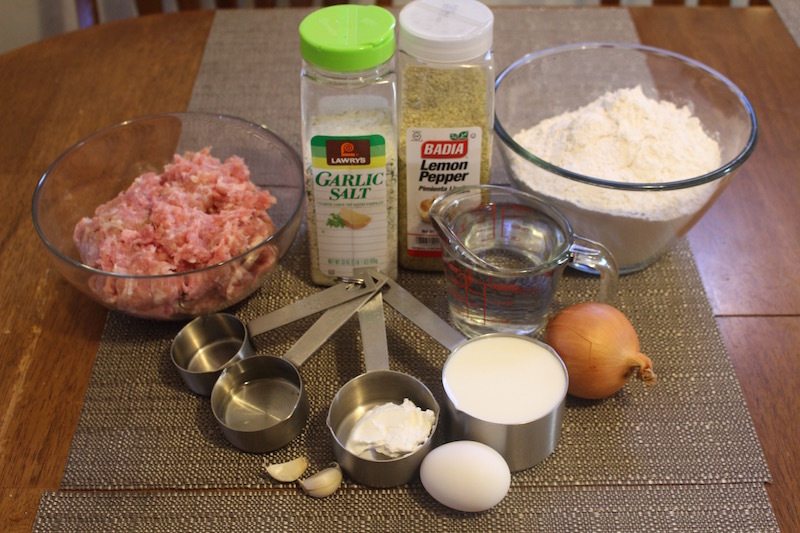 In a bowl add grounded pork, garlic salt and lemon pepper. Add crushed garlic, shredded onion and mix well. 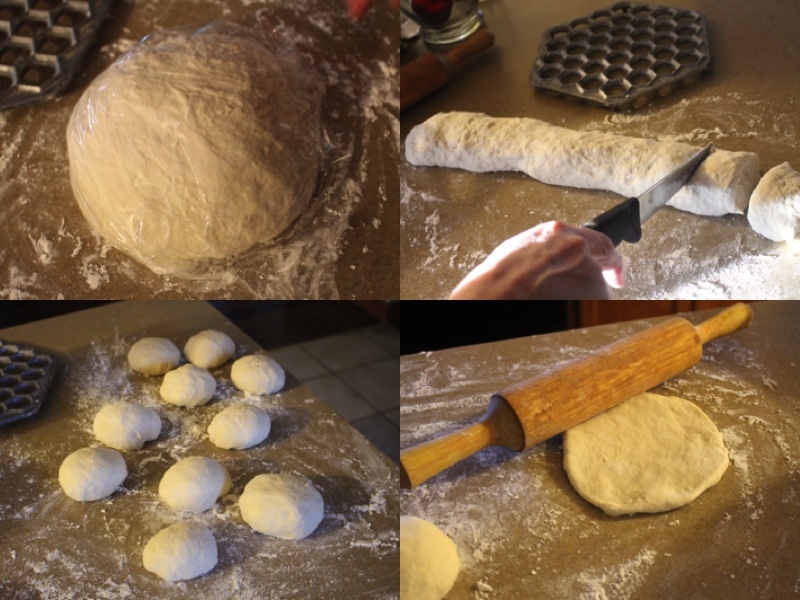 Place dough on a lightly flowered surface, kneed until dough is smooth and elastic (this will take about 10min). Cover the dough with plastic wrap and let it rise for 30min. After waiting shape the dough into a loaf and divide it into 10 equal pieces. Roll one piece on a lightly flowered surface (Roll as thin as possible). 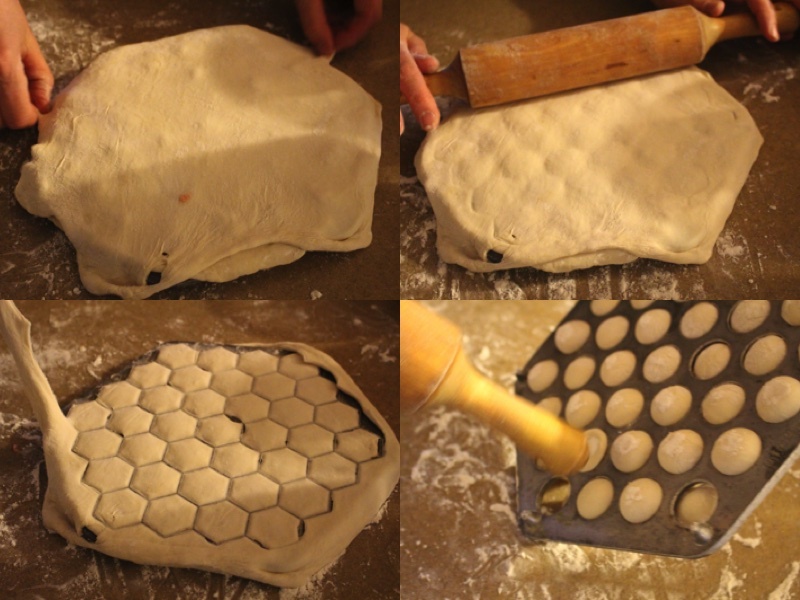 Place one piece of dough on a lightly flour dusted pelmini form. Cover the meat pieces with a second thin sheet of dough. Flatten the top with a rolling pin. Put the excess dough in a pile so it can be reused. With a hard object push out each circle. 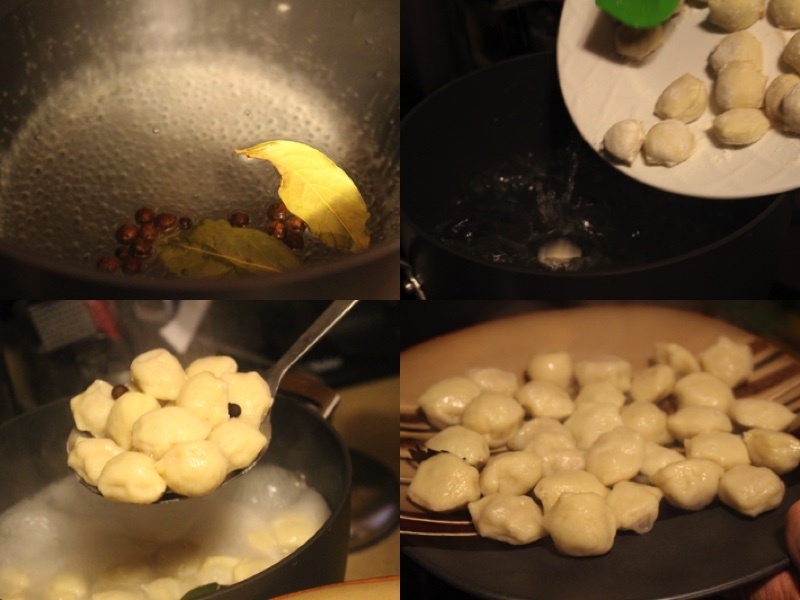 Place pelmini on a floured surface, add water, pepper balls, salt and leafs into a pot. Heat on stove until boiling. Take out the pelmeini and drain the left over water. Eat with melted butter cream or sour cream Enjoy! 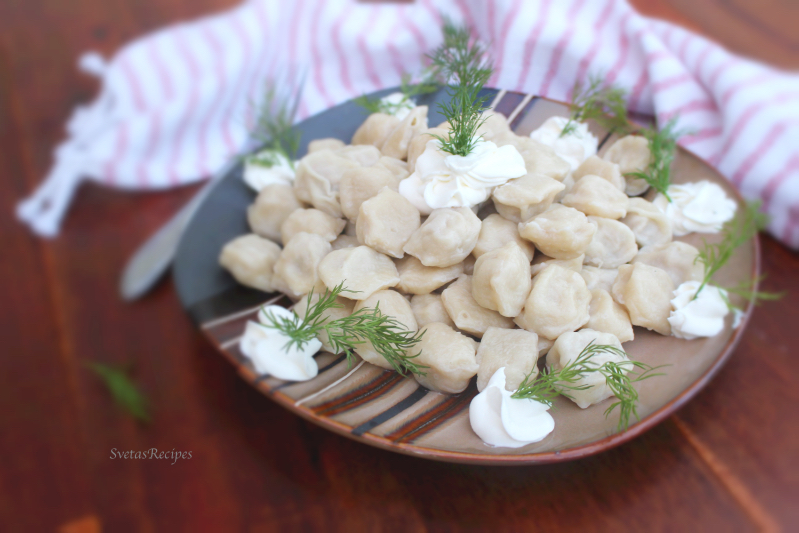 Love this pelmeni recipe! Just made two batches, thank you!